Since the British tabloids are stirring the pot, what better time for this blog to weigh in with some Bond 25 ideas? So here goes. Consider adapting one of the better continuation novels: For years, Eon Productions has resisted this path. Michael G. Wilson, Eon’s co-boss, has bad mouthed the John Gardner novels. However, Eon itself opened the door with SPECTRE. The 24th James Bond film includes a torture scene based on the one in 1968’s Colonel Sun novel. So much so, there’s a “special thanks” credit for “The Estate of Kingsley Amis” in the end credits. Generally speaking, it’s easier to use a novel as a starting point. The movie You Only Live Twice didn’t have much in common with its namesake novel, but characters, names, situations, etc. did figure into the movie. Given the soap opera of SPECTRE’s scripting process, any step to simplify the process would be a help. At this point, there are plenty of continuation novels to choose from. Worry about the script first, actor second: Various “making of” documentaries about 007 films discuss how scripts are tailored to their lead actor. How about this? 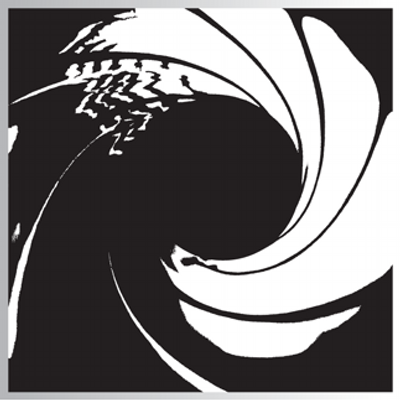 Write a James Bond story first, tweak it later after your actor has been cast. James Bond is the star. The series has seen six different actors play Bond. Some day, there will be a seventh. Albert R. Broccoli, co-founder of Eon, always felt 007 was the star, the rest came later. Words to live by. Or, put another way: story, story, story. If you have a good story but it conflicts with continuity, go with the story: Let’s be honest. Continuity isn’t a strong point for the Bond film series. Michael G. Wilson said Quantum of Solace took place “literally an hour” after Casino Royale. Yet, Quantum couldn’t be bothered with the slightest effort to tie together with Casino. Casino took place in 2006. Quantum in 2008. Did it really take Bond *two years* to track down Mr. White? Only if Bond and Mr. White are idiots. Continuity isn’t in Eon’s wheelhouse. If you have a great Bond story but it doesn’t match up with earlier films? Go with the story. If fans exit the theater thinking, “That was one of the best Bond movies I’ve ever seen,” nobody will really care about the continuity. Have a great Bond 25 idea that doesn’t immediately tie in with SPECTRE? Go with the great idea. You can always bring Blofeld back later, even if he’s not played by Christoph Waltz. But what about the “Blofeld Trilogy”? : That ship has sailed. It was a lost opportunity. Meanwhile, you might find the part of the You Only Live Twice novel that Albert R. Broccoli, Harry Saltzman and their cohorts didn’t use might make for difficult filming. Don’t twist yourself into a pretzel trying to recapture the past. Put yet another way: How many people leaving the theater after seeing SPECTRE really thought Daniel Craig’s Bond loved Lea Seydoux’s Madeleine as much as George Lazenby’s Bond loved Diana Rigg’s Tracy in On Her Majesty’s Secret Service? This blog’s guess: Not many. Good article—I was thinking it would make sense for them to continue the arc they ended with in SPECTRE and have Waltz back as Blofeld, but you have convinced me that isn’t necessary. It’s better to have a stronger story. One error at the end of third paragraph—I think you meant to say “…end credits.”, not “…end novels.”. Whoever wrote this is 100% right. @Navin: Thanks. Have fixed the end of third paragraph. Still waiting for The Hildebrand Rarity. Consider adapting one of the better continuation novels. I agree . . . wholeheartedly.